Website templates are a very common use for stock photos. Stock images can certainly enhance the visual appeal of your website and, particulary photos under RF license, their low cost makes them a very convenient choice. However, there's several usage issues you must be aware of when using stock photos in website templates. RF license certainly cover a wide variety of uses in web design, including web templates, but there are some restrictions –mainly regarding reselling and using photos in morally questionable ways– that you must observe. For more information, check our our overviews of Royalty Free (RF) license and our comparison between RF and RM licenses. So here's the do's and don'ts of using stock images in website templates. You can pretty much use a stock image in web design and website templates any way you want, so long as the use does not fall under the restricted uses (see below). You can use the stock image as a whole, or you can crop it, mask it, or use only certain elements of it. You can edit and manipulate the image to fit your purposes (as long as the results do not fall under the restricted uses). The restricted uses for stock images in website templates are fairly simple and clear cut. You cannot use a stock image as an integral part of a website logo — stock images are copyrighted, therefore can't be used in logo designs. You cannot resell, distribute, or license website templates that use stock images — sometimes you can acquire the right to do this with an Extended license. You cannot use stock images on websites depicting pornographic, immoral, illegal, or defamatory content — All licenses to stock photos prohibit to use the images in morally questionable or innappropriated ways. You cannot use images of people in your template in a way that depicts them as promoting or endorsing a product, business, or service — as long as the images depicting people is appropriately model-released, you can use them in your website template, but only as part of the visual design, never in a way that suggests the models are personally endorsing a product, business or service. The main reason you are not allowed to resell website templates made with stock photos nor create a website logo containing one, is that the RF licenses you can acquire for them do not transfer you the ownership of the image, but only the right to use them in certain ways. The person who created the image still holds the copyright to it. Licensing – When you purchase an RF stock image you are only purchasing a license, not the image itself. Stock photographers and artists earn money each time an image is licensed. If you resell a website template featuring stock imagery, you are essentially depriving the photographer of potential income. 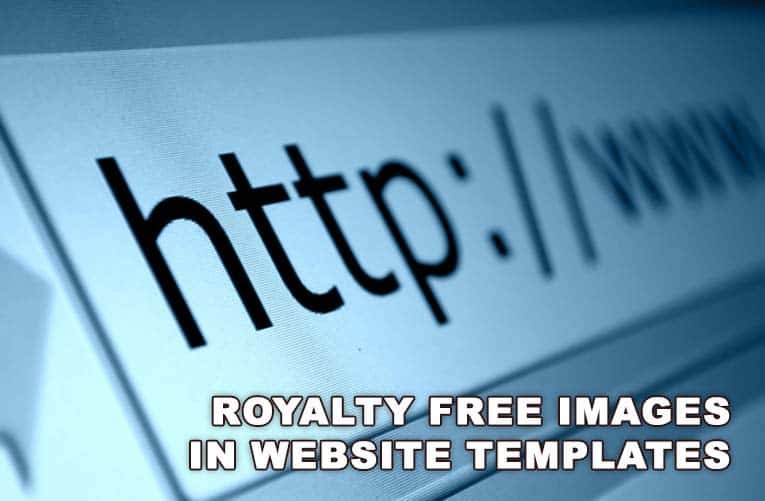 However, you are permitted to design and sell a single copy of a website template using stock images — to design a website template for a client, for example — and at times, when available, you can acquire an Extended license that enables you to use the image in items for resale, including website templates, for a higher price. Copyright – All artwork, music, writings, and images are covered by copyright by default when they are put in a fixed form (digital files included). Copyright ownership remains with the artist that created the work and is not transferred when the work is sold or licensed, unless specifically stated. This protects artists' work and allows them to license their work multiple times (thus reducing the price). Theme – To make a stock image fit within your design and feel as integral part of it (and not as a generic stock photo), find one that comprises the overall theme of your site. For example, if you're creating a Halloween theme, find stock images of pumpkins, jack-o-lanterns, customed kids, season candy, etc. Color – In graphic design, color is often used to convey mood and emotion. You should always analyze what emotions you want your site to highlight in your viewers, to determine which colors you want to use in your website template, and then find stock images that within that palette. Subject – Besides theme, any stock image you use in a template should represent the subject matter of the site. For example, if your site is focused in pregnancy, choose pictures of pregnant women or babies. RF stock photos are a great cost-effective resource to create compelling, attractive websites. But you must always read and understand the license terms to make sure you're following them correctly, in order to protect yourself from legal issues, as well as to respect the artists' copyright to the images.